2 Bedroom Terraced House For Sale in Plymouth for Guide Price £155,000. Guide of 155,000 to 160,000. 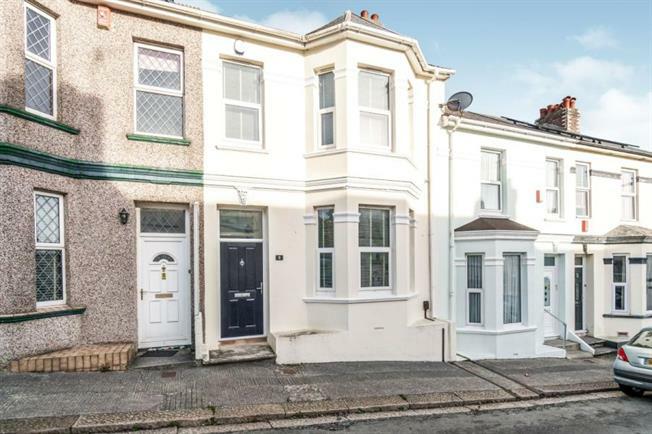 A superbly presented, bay fronted home which has been greatly modernised and improved with contemporary fittings yet retains many period features. Benefitting from gas central heating and double glazing the accommodation includes a living room with open fireplace, dining room, modern fitted kitchen with integrated appliances, two double sized bedrooms, contemporary fitted bathroom and separate shower room. Outside is an enclosed courtyard style garden and access to a large handy cellar.